To borrow a line from Al Stewart’s ‘modern times’, ‘it almost seemed like yesterday’ when Durham surveyed their way to New Road last time. They have been regular visitors here and it has fostered joy as well as sorrow for the home team. Worcestershire Rapids sealed their place in the quarter finals of this competition last year with a sedate win over Jets but Scott Borthwick’s incredible hundred slumped them to a Championship defeat which was ultimately crucial to their demotion from Division One. Both teams would love success in this competition and come into this match in good spirits having fared exceptionally during the proceeding county matches. Durham were rewarded for a brave declaration with a victory against Lancashire while the Pears had to settle for a draw after dominating the whole match against Sussex. The Rapids are slight favourites this evening with their two key overseas signings both playing but their Director of Cricket, Steve Rhodes gave a word of caution when he stressed that past glories come to nothing when it comes to T20. If Brett D’Oliveira seems bells on this season, his transformation actually showed signs of materialising last season. Although he didn’t bat in the top order, more maturity was visible in his T20 Blast appearances. Averaging over three figures with over 600 runs amassed, it’s as if he’s forgotten the art of his early carelessness and replaced it with a dynamic ambition. With Mitchell Santner, he could control the middle part of the innings too with his improving off-breaks. When Phil Mustard was selected for a new-look England side to tour Sri Lanka in 2007, he was spotted as someone for the future. Sub-par performances meant that layout had to be ripped up but he has continued to provide crucial contributions up the order for Durham. Now a seasoned campaigner, the Jets need his runs to avoid another timid start. Worcestershire’s Kiwi battalion Mitchell Santner and Matt Henry both are scheduled to play today. Rhodes is set to give Joe Clarke his first taste of T20 cricket too and they are unchanged from the Sussex game with the addition of Chris Russell, who excelled last season. Worcestershire squad: Daryl Mitchell (captain), Ed Barnard, Ben Cox (wicket-keeper), Joe Clarke, Brett D’Oliveira, Matt Henry, Alexei Kervezee, Tom Kohler-Cadmore, Joe Leach, Charlie Morris, Chris Russell, Mitchell Santner, Jack Shantry, Ross Whiteley. 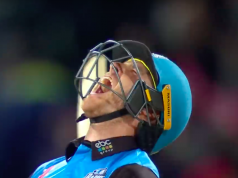 Durham have had the misfortune of having to deal with the injury to their overseas mainstay John Hastings but in his absence, a lot of others have stepped up and showed progression. The odd shower is expected at some point but mostly it’s going to be a sunny day with a bit of a cloud cover as the day progresses. Games at New Road have been hampered by rain during this season but the misery changed course during the Championship encounter against Sussex where rain played no part. The pitch is expected to be dry and ideal for batting but with the cloud cover there could be some swing available early on. The match will not be played on the same surface as the just concluded Division Two contest so it won’t have much wear and tear for the spinners to exploit.